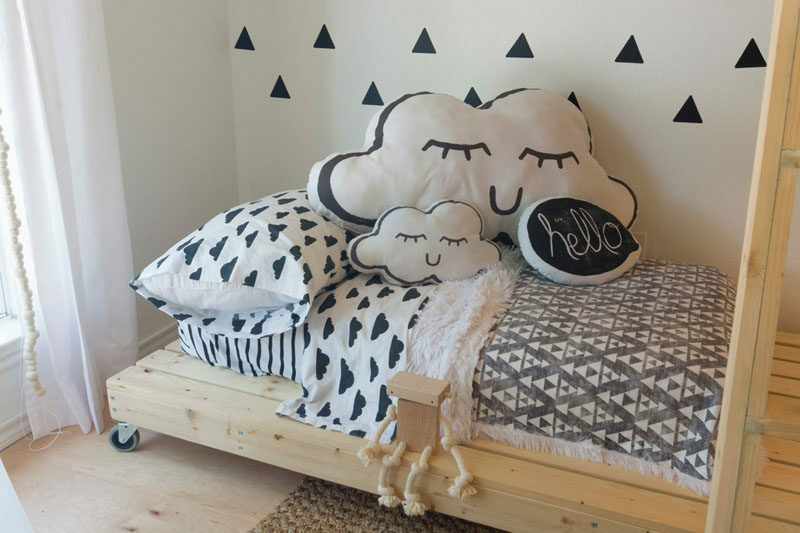 It must be great to have a parent as an interior designer, because the two little kids in this home got a bedroom that is fun and playful, courtesy of their designer mother. Designed by Ginger Curtis of Urbanology Designs, the room features bright white walls, simple decor and custom made wooden beds. The bottom bed even has wheels on it so that it can be moved around when needed. Small furniture, white curtains, and beaded elements throughout the room add to the Scandinavian feel of the bedroom. 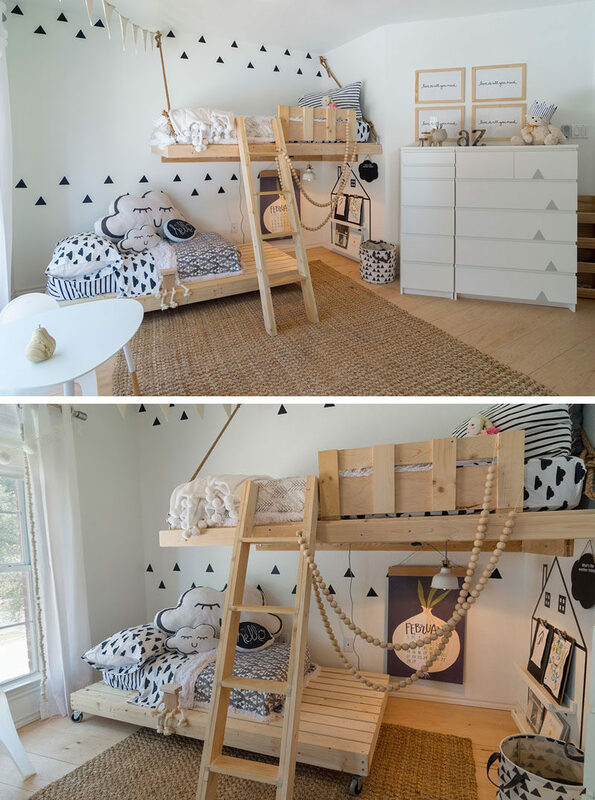 Maximizing space in kids room is always important. 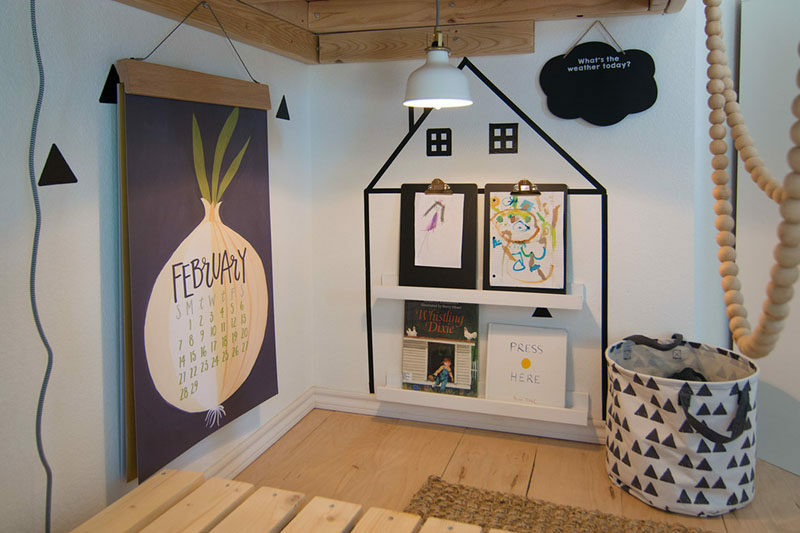 Tucked away under the loft bed is a little creative kids nook with hanging reading light and a book ledge. 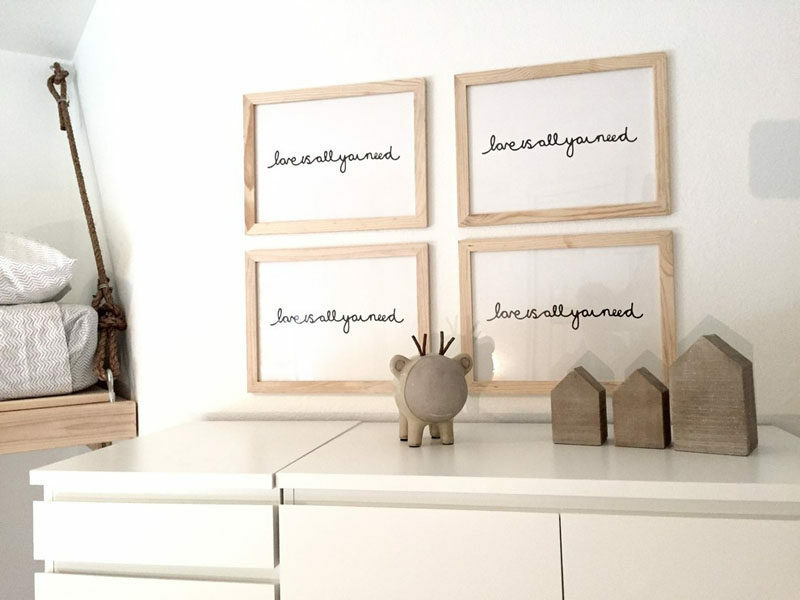 Although the bedroom doesn’t have any bright colors that are typically found in kids rooms, the decor in this room makes up for it and adds all the personality. 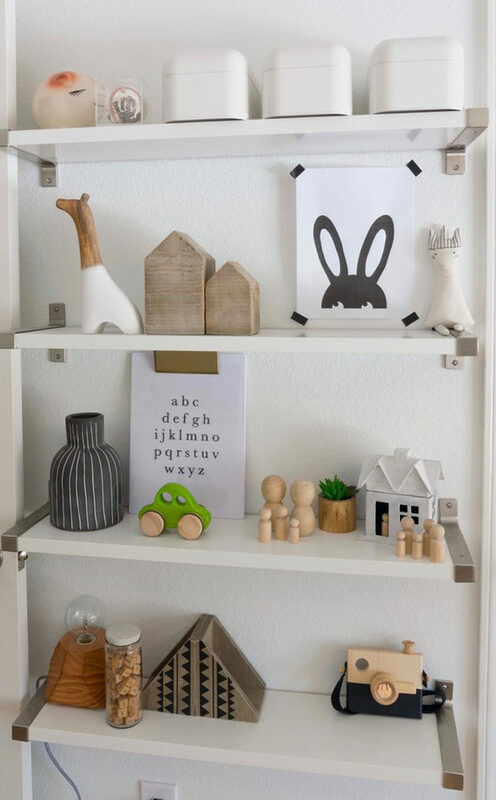 Personal mementos and minimalist toys on the shelves near the door add a sense of fun and whimsy to the room.